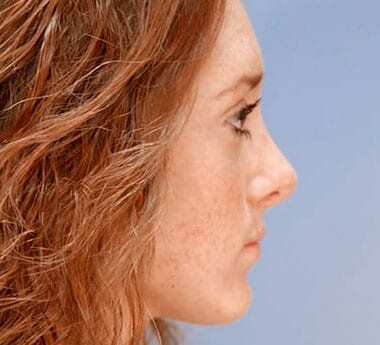 Many men and women are self-conscious about the structure of their noses. This concern often starts in adolescence when the nose is changing into its adult shape and structure. Nasal imperfections such as asymmetry, a displeasing tip, or wide nostrils can make the nose look unflattering and distract from other facial features. Rhinoplasty, or nose surgery, can improve the size and shape of the nose for patients who are dissatisfied with their appearance. Breathing is often improved as the structure of the nose is made more normal, thereby improving nasal function as well. Some patients may struggle with an overly large nose and feel that their facial proportions are unbalanced. Rhinoplasty can sculpt and reduce the size of a large nose or wide nostrils to help patients achieve the facial harmony they desire. It may not always be the size of a patient’s nose that disrupts their facial aesthetic. An injury or developmental deformity can result in a crooked or misshapen nasal appearance. Rhinoplasty can correct an asymmetrical nose or visible bumps to produce pleasing nasal contours. Patients with a deviated septum often struggle with breathing and snoring problems. Septoplasty can correct the nasal septum by straightening it to improve airflow through the nose. We no longer pack the nose after surgery, as this is painful to remove. Splints will be applied to cover and protect your nose and hold the shape for the first week. Steristrip tapes will be removed after two weeks. Swelling and bruising may occur but should resolve after six weeks. You should be able to resume most normal activities after two weeks except swimming and heavy aerobic exercise. 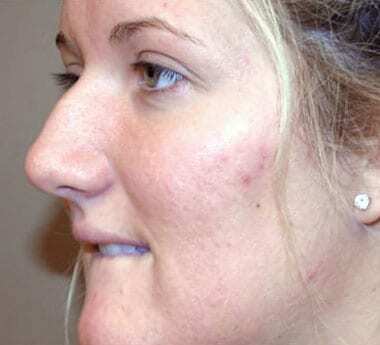 Visible scarring after rhinoplasty is unusual. Your healing will be monitored, and scar therapy will be initiated at three weeks for patients at risk of scarring. The cost of rhinoplasty can vary depending on several factors, including anesthesia fees, facility fees, and the amount of correction needed. 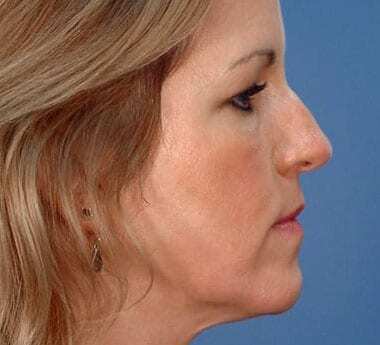 Generally, rhinoplasty is considered a non-painful procedure. Any post-operative discomfort or pain can be managed with oral medication as prescribed by Dr. Grotting and Dr. Cohn. The entire staff was professional and polite. They made me feel comfortable and answered all of my questions. Q. What type of anesthesia is used during nose surgery? Rhinoplasty may be performed using general anesthesia or local anesthesia with light sedation. Q. Are there any potential complications associated with rhinoplasty? As with most procedures, there are some risks involved with rhinoplasty. These include infection, reactions to anesthesia, fluid buildup, poor wound healing, blood clots, and a change in sensation. Because cartilage has “memory,” it wants to go back to its original shape. These are factors beyond the complete control of the surgeon. Even among the world’s rhinoplasty experts, revisions are necessary in about 20 percent of cases, usually performed at one year. Q. What results can I expect after my surgery? Your results will become noticeable soon after your procedure as the swelling subsides. However, residual swelling may affect the final contour of your nose. This should resolve within several months. Swelling can remain in the tip area for up to a year. 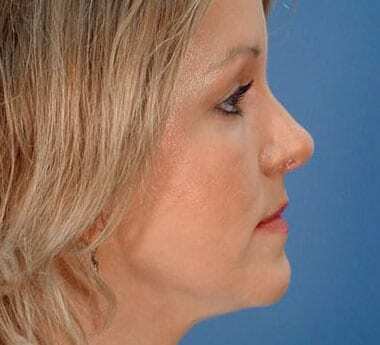 Rhinoplasty permanently corrects your nose. If you are satisfied with your results, they will generally last forever, with the exception of new trauma to the nose.